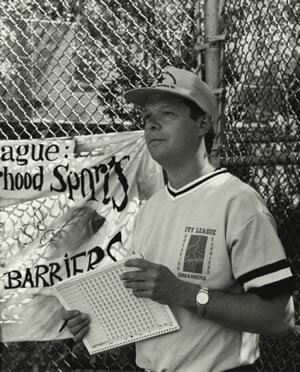 In the ethnically diverse New York City neighborhood of Washington Heights, Al Kurland fosters leadership and confidence through the old-fashioned tools of athletics and community service. As “godfather” to over 1,000 young people, Al is adept at harnessing community resources to create comprehensive programs for the entire neighborhood. For the past 15 years, Al has designed and directed a range of after-school and athletic programs for the youth of Washington Heights in order to encourage them to work hard, play well, and develop a high level of respect for and commitment to their community. When he recognized that the absence of school sports programs for young girls affected their self-esteem, Al created the all female Ivy League: UPTOWN WINS (Uptown Women in Neighborhood Sports.) The Ivy League offers competitive softball and track to 200 girls, ranging from sixth grade through high school. “We see the transition in these girls,” Al explains with pride. “Some of them turn into athletes. Others change their attitudes and tend to be less critical of themselves and their peers. Overall, the girls are more confident because of their involvement in team sports.” One of his softball players, Erica Martinez, reflects on her participation in his girls’ athletic program: “I’m now able to speak my mind and also have people listen and hear what I have to say. Since I’ve been in softball, I’ve learned how I could help the needy and it was fun.” Jackie Joyner-Kerse, Olympic track and field champion, and Alice Coachman, the first black woman to win an Olympic medal, gave a running workshop for the Ivy League girls. Al has been appointed to create and direct a new after-school center for the Police Athletic League (PAL) in Washington Heights, one of twelve youth centers in Manhattan, Queens, Brooklyn, the Bronx, and Staten Island. Al envisions that the new center will draw on the resources of the neighborhood, providing classrooms, a game room, and a gymnasium. Numerous agencies including Sheltering Arms (computer training for single mothers), Armory Center Track and Field, a citizenship center, and Teach for America will deliver a wide variety of social services, including day care.